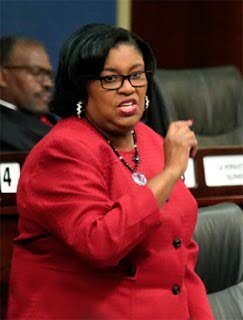 Public Administration Minister Marlene McDonald has fallen ill again and is once more in hospital. The Office of the Prime Minister in a statement said McDonald is at St Clair Medical Centre and "is being treated for an existing medical condition". Less than a month ago, McDonald was treated at Port of Spain General Hospital after complaining of feeling unwell during a Cabinet meeting on June 14. The Port of Spain South MP underwent CT scans and blood tests. There were reports that her blood sugar level had dropped. Health Minister Terrence Deyalsingh said then doctors had ruled out a heart attack or stroke. McDonald was transferred to Eric Williams Medical Science Complex, Mt Hope for further tests and kept overnight before being discharged the following day on June 15. In its brief statement, issued at about 2.50 pm, the Office of the Prime Minister wished McDonald " a speedy recovery". Reply to "Marlene McDonald in hospital again"